Lisa Feldman Barrett PhD is Professor of Psychology and Director of the Interdisciplinary Affective Science Laboratory (IASL) at Boston College, with appointments at Harvard Medical School and Massachusetts General Hospital. As a social psychologist and researcher she specializes in affective science and human emotion. Dr Barrett will be presenting the opening session, “A new model for emotion & cognition” at the 2010 NeuroLeadership Summit. Dr Barrett’s laboratory studies emotions: what they are, and how they function in the economy of the mind. This research combines experiential, behavioral, psychophysiological, and brain-imaging techniques. Her current hypothesis on emotion is the conceptual-act model of emotion. The conceptual-act model of emotion is a recent psychological constructivist view on the experience of emotion. This model was proposed by Lisa Feldman Barrett to rectify the “emotion paradox,” which has perplexed emotion researchers for decades. The emotion paradox is as follows. People have vivid and intense experiences of emotion in day-to-day life: they report seeing emotions like “anger,” “sadness,” and “happiness” in others, and they report experiencing “anger,” “sadness” and so on themselves. Nevertheless, psychophysiological and neuroscientific evidence has failed to yield consistent support for the existence of such discrete categories of experience. Instead, the empirical evidence suggests that what exists in the brain and body is affect. Despite this evidence, most theories of emotion assume that emotions are genetically endowed, not learned, and are produced by dedicated circuits in the brain: an anger circuit, a fear circuit, and so on. This point of view is very much in line with common-sense conceptions of emotion. The Conceptual Act Model of emotion calls this assumption into question. 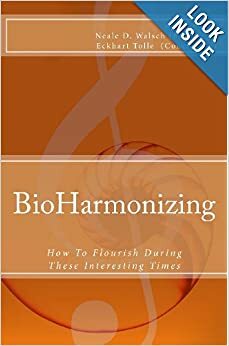 It suggests that these emotions (often called “basic emotions”) are not biologically hardwired, but instead, are phenomena that emerge in consciousness “in the moment,” from two more fundamental entities: core affect and categorization. – Words for emotion correspond to mental states that can be described as the combination of more basic psychological processes. – The mental events called “anger,” “sadness,” and “fear” are not basic building blocks in the mind, but instead are mental events that result from the interplay of more basic psychological systems that are not themselves specific to emotion. – An emotion word like “anger” names a commonsense category that corresponds to a range of mental events which emerge from the interaction of more basic psychological ingredients.